A comic & adventure game. Play the little man and hero of this story: Al Emmo. He is single and 42, and want to find the girl of his life. He arrives at the town Anozira to date a girl. But when meeting Rita Peralto in the towns saloon, he fells instant in love with her. 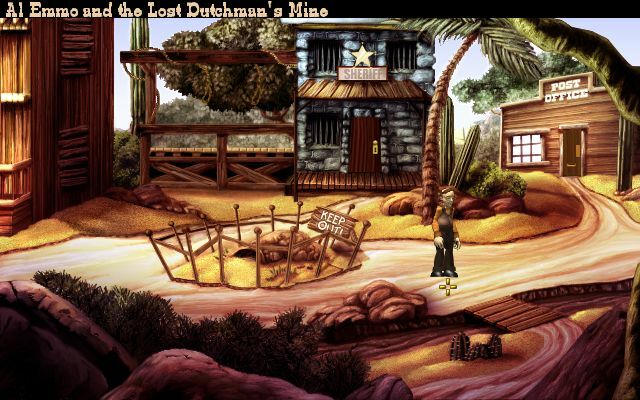 So to get closer to her, he must overcome a rival and explore the waste desert land, and uncover the story of Ritas father; the lost dutchman´s mine. The graphic is a bit vague.